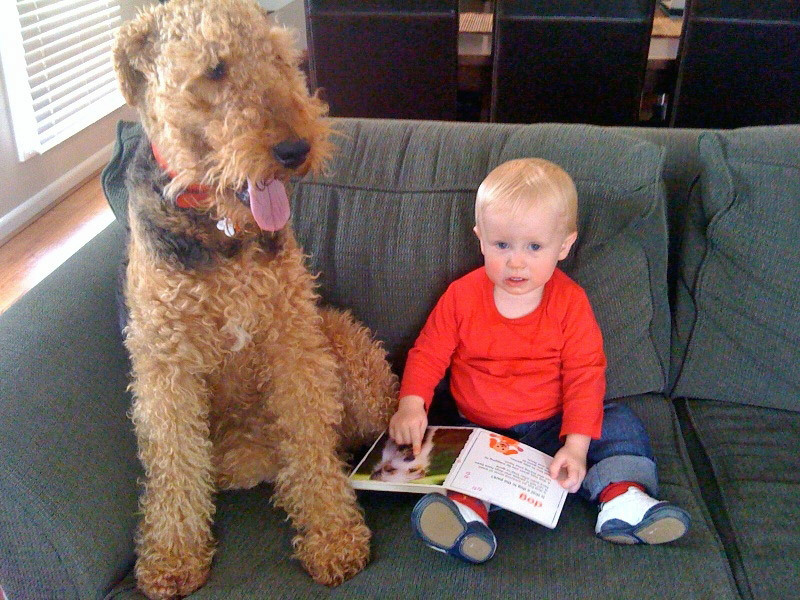 No sooner had the Evans family of Niddrie put their feet up to take in the arrival of the New Year, did they realise that their beloved eight-year-old Airedale Terrier, Harry, was missing. “Much to our dismay, we discovered in the early morning that Harry was gone – a first – as he has never disappeared before,” said Brad. With no leads to follow even after knocking on neighbours’ doors, all the Evans family could do was comfort their distraught son, who was especially attached to Harry. Having had Harry microchipped and registered to the National Pet Register, they decided to cover all bases by posting a message on the Lost and Found Pets section on The Lost Dogs’ Home website. Starting with a simple three-worded plea, “Please help us”, the Evans was fully unaware that their plea will shortly be heard by a complete stranger in Delahey. As a professional working in an online advertising company, good Samaritan Alex usually starts her day reading headlines online. This day was no different except for the sheer coincidence of Alex seeing a lost Airedale Terrier on the Herald Sun website and then coming across the message that the Evans had posted on the Lost and Found page on The Lost Dogs’ Home’s website. “Remembering that I had seen an Airedale Terrier on heraldsun.com, I thought that it was highly likely that it was (the Evans’) little boy. I didn’t have anything to lose so I contacted the family online through their post and also followed this up with an SMS. I was convinced that this dog was Harry and wanted to alert the Evans immediately,” Alex recalls. “We received a text message from a person who had read our post on The Lost Dogs’ Home website, notifying us of an Airedale Terrier that was on the Herald Sun website. We looked it up and thankfully, it was Harry,” Brad Evans said with relief. Being an animal lover, Alex knows how much Harry meant to the Evans. “I know how I would feel if it were one of my animals missing and I hope that someone would return the favour if ever I were in the same situation”. Without haste, Brad picked Harry up from the North Melbourne shelter, realising how lucky they were to be reunited back with Harry so soon. “When we picked Harry up, he was in good condition, and was very excited and happy. Our two-year-old son can finally sleep knowing that his best mate is safe”. If your pet is missing, include a post in the Lost and Found Pets section of The Lost Dogs’ Home website as part of your search. You can get your pet microchipped at The Lost Dogs’ Home Veterinary Clinic. Through it’s National Pet Register, The Lost Dogs’ Home provides microchip registration and recovery services and also free collar ID tags. To get your free ID tag and to find out more about microchipping your pet visit www.petregister.com.au.